…everyone who lives in Sweden shares a collective responsibility for our country’s security and safety. When we are under threat, our willingness to help each other is one of our most important assets. If you are prepared, you are contributing to improving the ability of the country as a whole to cope with major strain. Reflected in the popular slogan – “Keep Calm and Carry On” – coined by the British Ministry of Information in 1939 as a tool of propaganda to manage public anxieties under the threat of aerial bombing campaigns (Irving 2014), the core directives of civil defense education are not new. The rationale that civilians play an active part in bolstering the security function of the state rests on several key assumptions: 1) that threats to national security are ubiquitous and can arise from many sources; 2) that state structures designed to protect the general public from imminent (or imagined) threats cannot mitigate the anxieties that such threats produce; 3) that affect management is a public responsibility and indeed an aspect of collective nation building; and 4) that preparation is the salve to the woes of uncertainty. The fantasy is that what has not yet come to pass might be mitigated through the activity of preparation itself. Such ideas may seem the stuff of Cold War history, when the risk of war under nuclear armament was a constant. Sweden, for example, has not participated in public civil defense education since 1961 and ceased distributing emergency preparedness information to government officials by the early 90s (Downs 2018; Trevithick 2018). But in recent years, civil defense education has again become a feature of state security efforts in several countries. In January 2018 it was reported that the Estonian Ministry of the Interior, along with the Estonian Defence Forces, was planning to publish civil defense materials (Cavegn 2018). In the United States, the Department of Homeland Security and the Federal Emergency Management Agency (FEMA) released a 2012 report titled “Crisis Response and Disaster Resilience 2030: Forging Strategic Action in an Age of Uncertainty”. A key goal of this initiative is to create “an emergency management community to establish and maintain a foresight capability” (FEMA 2012). Similar to the Swedish example above, uncertainty is presented as a given to which the nation must respond with foresight and resilience. Resilience is a potent heuristic that criss-crosses contemporary policy debates concerning everything from climate change, disaster risk reduction, and national security to international development and urban planning (Chandler and Coaffee 2017). As a practice framework, resilience conceives contingency and uncertainty as threats that require collective mitigation, both locally and globally. Our interest in the term is close to West’s (2017) articulation of “civic resilience” – the practices of neoliberal social and political engagement through which the state operationalizes consent and trust as collective public values. This orientation is reflected in FEMA’s (2011) adoption of a “whole community approach” to emergency preparedness which rests on mobilizing the civilian population in defense of national security interests. Pugliese has written about the ways in which contemporary civil society has become enmeshed with militarized violence, focusing primarily on “the increasing cooption of civil sites, practices and technologies by the US military in order to facilitate their conduct of war” (2016:501). He conceives the term “civil militarization” to refer to the “colonizing of civilian sites, practices and technologies by the military” (ibid.). Recent critical scholarship (Cowen 2014; Howell 2018), however, suggests a less discernable split between civilian and military spheres of life (and death). The martial project of nation building, which is also one of neoliberal globalization, has its specific ontologies, logistics and spatiotemporal conditions which confuse the distinction between war and peace. Howell states this quite clearly when she points out that the concept of militarization is a “theorization of ‘before and after’ – of movement from a non-militarized (or less-militarized) state to a militarized one. This erroneously presumes there ever was a peaceful domain of normal or civilian politics unsullied by military intrusion” (2018:118). She offers the term “martial politics” to upset this dualism and to describe the ways in which the relations, technologies and knowledges of war constitute the citizen subjects of the neoliberal settler state and its institutions. Similarly, Cowen traces the entanglement of war and corporatization via the logistics of global trade and asks us to consider the expansion of the modern state as a martial project that both relies on and produces the territorialization of networked infrastructures, what she calls the “time of logistics space” (2014:5). This critical exploration of the “violent economies of space” on the home front of the battlefield, as well as their developments through time, is vital to our historical investigation of how contemporary discourses of pre-emption and emergency preparedness produce the subjects, infrastructures, and practices of resilient citizenship. A radical take on emergency preparedness requires an analysis of the technologies, economies and institutionalized practices developed to observe, document and determine which bodies constitute uncertainty and threat and which do not, at what times, and where. We should also be concerned with how preparedness as civil defense organizes and secures domestic space, including how the urban, suburban and rural are imagined and practiced. In Canada, for instance, Cold War civil defence planners saw major cities as nuclear bomb targets and rural farms as vital safe havens that would both hold and provide for the urban and suburban masses. One can see this in the educational film “Flowers or Ashes” (Metropolitan Toronto Civil Defence Organization 1957), designed to teach Toronto residents how to prepare for and conduct emergency evacuation procedures. In the film, the “good” and compliant (middle class, heteronormative and white) model family pays attention to official communications and learns how to calmly commute beyond city limits to their designated rural shelter, where they are depicted sharing a picnic in the front yard of their host family’s home. By contrast, the “bad” and non-compliant family remains trapped in the urban danger zone. In this model, keeping calm and carrying on rests on occupying a normative subjectivity and assimilating martial logistics. Whereas the Cold War era of emergency preparedness sought to motivate the individual through an appeal to survival, contemporary manifestations are arguably more concerned with mobilizing communities as a whole. The current language of emergency preparedness constructs the good citizen as one who fulfils their national security responsibilities, including the duty to surveil domestic spaces and the people who move within them, and to discern and report possible security risks. In Canada during the Cold War, this included the targeting of civil rights activists, feminists, communists, immigrants and queers as threats to national values and thus the security of the nation (Austin 2013; Kinsman and Gentile 2010; Sethna and Hewitt 2018). It is our contention that the so-called new security discourses of resilience and preparedness are modeled on the same dynamics of othering that have historically constituted the normative subjects of nationhood. If, following von Clausewitz’s (1984) well-known formulation, war is a continuation of state policy by other means, then emergency preparedness is its home front. The domestication of “martial politics” (Howell 2018) through civil defence is also an educative project. We offer the term “prepper pedagogy” to describe the discourses and practices that instruct pre-emptive ways of knowing and being in relation to perceived threats of persistent social disorder and/or uncertainty. Emergency preparedness is one example of a civic practice that educates the citizenry to their state security function – uncertainty must be internalized, managed and neutralized for safety to be assured. The enmeshment of civilian, military and carceral logics and spaces is seen as normative and indeed, desirable. 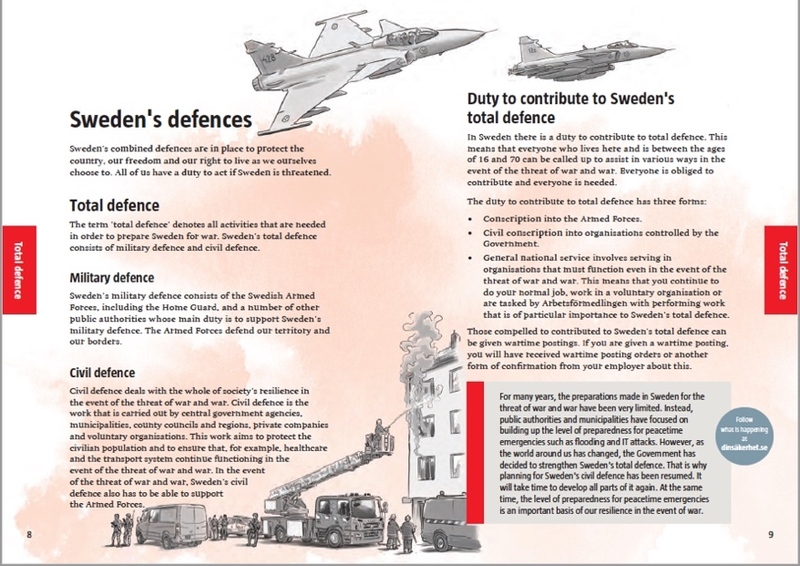 In the case of state sponsored civil defence education, such as the Swedish instructional pamphlet, prepper pedagogy is both the myth of pre-emption mobilized by the state to produce compliant subjects as well as the instruction on pre-emptive modes of engagement. But prepper pedagogy can also describe how martial politics instructs individual responses to differently imagined threats – climate collapse, for instance, or germ apocalypse, or doomsday. Contemporary preppers or “survivalists” are maverick social formations often characterized by libertarian notions of self-reliance and alt-right politics. As in the example below, our research considers how prepper pedagogies perpetuate the normative epistemological and ontological foundations and practices of the settler colonial state. Like Howell, who insists on a mode of analysis that understands “the fundamental ways in which we live with war and in which politics proceeds through war-like modes of action against racialized, Indigenous, poor, disabled, queer and other populations” (2018:130), our intervention calls for an intersectional approach to understanding the historical and contemporary dynamics of prepper pedagogy. Following Collins (2015), we articulate intersectionality as both an analytical strategy for examining the ways in which race, class, gender, sexuality, ethnicity, nation, ability and Indigeneity are produced at the nexus of institutionalized relations of power and as critical praxis of intervention that seeks to refigure such relations. A case study of prepper pedagogy is the US National Rifle Association’s political campaign to make self-defence a “God-given right” of American citizenry. This line of thinking also emerges in and intersects with discourses around gun violence in America. For example, in tweets posted following the February 2018 Parkland school shooting, Donald Trump entreated neighbours and classmates whom he accused of not acting pre-emptively. “So many signs that the Florida shooter was mentally disturbed, even expelled from school for bad and erratic behaviour”, he tweeted. “Must always report such instances to authorities, again and again!” (Trump 2018). In the days following the shooting, Trump proclaimed that if just 10-20% of American teachers had been trained to use and carry concealed weapons that “a teacher would have shot the hell outta [the shooter] before he knew what happened” (Coaston 2018). In this example, gun violence is framed not as a result of the systemic problems that produce it, but rather the failure of civilians to properly detect and report non-normative bodies and engage in state-sanctioned militarized behaviour. Prepper pedagogy is the fire-arms lessons that Trump wishes were taught, the belief that pre-emption can combat the uncertainties of violent threat and the production of certain bodies as manifesting that threat. 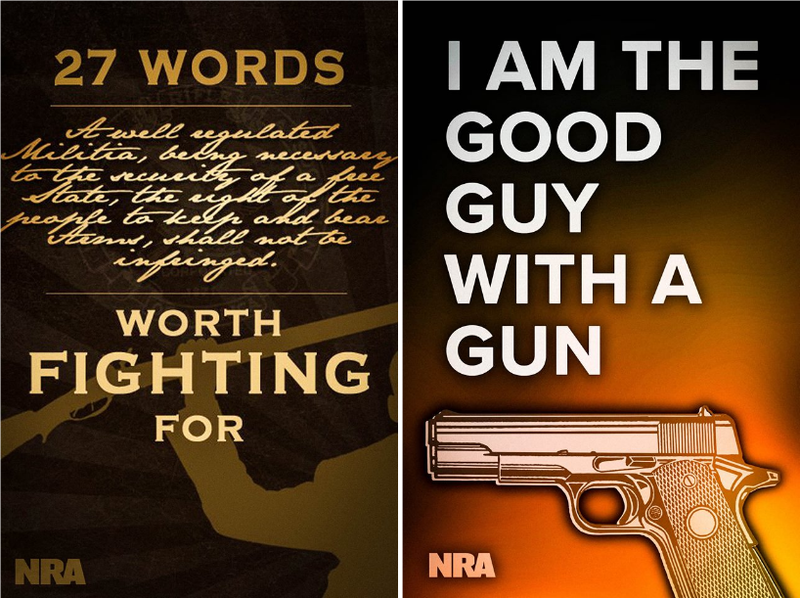 But it is also the insistence that it is the individual who should embody and enact the martial politics of nation building: with the right to bear arms, this assimilation is complete. In his analysis of late modern warfare, Brian Massumi (2015:9) argues for a distinction between pre-emption, prevention, and deterrence. Pre-emption, he suggests, is a new mode of power that operates in the present on the basis of a future perceived threat. It is the present of a perceived futurity, he argues, that drives the process of pre-emption. A good illustration of this orientation is Donald Rumsfeld’s now infamous response, at a Department of Defence news briefing, to a reporter’s question concerning evidence of weapons of mass destruction in Iraq. …as we know, there are known knowns; there are things we know we know. We also know there are known unknowns; that is to say we know there are some things we do not know. But there are also unknown unknowns – the ones we don’t know we don’t know. And if one looks throughout the history of our country and other free countries, it is the latter category that tend to be the difficult ones. (US Department of Defense 2002). Without the presence of unknown unknowns – the things “we don’t know we don’t know”, the category so difficult for Rumsfeld and the Bush administration – there can be no pre-emptive politics nor can there be subjects of pre-emption. It is indeed the construction of a feared outcome or enemy other that drives the logic of pre-emption, which is one of sustained uncertainty (Massumi 2015:9). The basis of pre-emption is that it’s object cannot be specified. We see this in the example from the NRA, in which it is an ontological right of citizenship to defend oneself against an outcome that cannot be anticipated. The threat, so this logic goes, could be anywhere – in one’s home, school or street. It is an imminent danger, in Massumi’s terms, that is “indeterminately in potential” (2015:9). And thus, to be a good citizen, one must be prepared. It is this same logic that allows Trump to articulate the problem of mass shooting as one of unrealized pre-emption. The frontier mentality and racism expressed here is not news to many who have found themselves on the wrong side of that “history of our country and other free countries”. This is a history that is known. And yet, we have found in our archival research exploring the domestic side of surveillance and civil militarization in Canada from the Cold War to the present, that it is an elided history. For many scholars, Massumi included, Cold War rhetoric was firmly directed towards a known unknown – the threat of nuclear war, and the deterrence of such an outcome. But it is our argument that prepper pedagogy was already at work in the construction of Cold War discourses that produced particular notions of the citizen, family and community as the keeper of national moral principles (Oakes 1994). This included a moral obligation to engage in the civil defense of those principles, particularly against those who from within the country were seen to be agitators, threats and rebels to the cause. In our project, prepper pedagogy emerges and is present in the many connections between cold war discourses of protection and survival and the current language of resilience and preparation. Here we are in conversation with Gregory’s (2011:239) articulation of “the everywhere war”, an analytic orientation to the particular spatiotemporal formations and practices of military violence that give rise to the present moment of war as both taking life and producing it as global liberalism. The pressing work is to determine and map contemporary articulations of emergency preparedness and civil defense and how they produce the domestic borderlands of conflict. 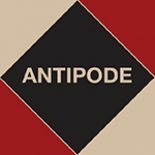 This entry was posted on 18 October 2018 by Antipode Editorial Office in Interventions and tagged citizenship, civil defense, cold war, contingency, disaster management, education, emergency preparedness, martial politics, militarisation, nation building, peace, pre-emption, prepper pedagogy, resilience, securitization, settler states, the state, threats, uncertainty, war, white supremacy.